Upgradeable werkpaard. Deze grote 17 inch Dell workstation is goed uitgerust en biedt veel mogelijkheden om de configuratie naar wens aan te passen. Maar is dat voldoende om de concurrentie met de kleinere Dell Precision M4800 aan te gaan? The M6800 is impressive, but it's a niche product. Few employees will truly need the versatility and power offered by this machine, especially when it's this bulky and expensive. If you can justify investing in such a powerful notebook, it excels in every important area, which makes it an excellent high-end workstation. This machine is designed for the most demanding of road warriors, and that’s influenced virtually every department. It’s got more ports, sockets and slots than you’ll find on almost any other machine, and it’s got more power under the hood than most, too – the M6800 will be able to handle work software without breaking a sweat. 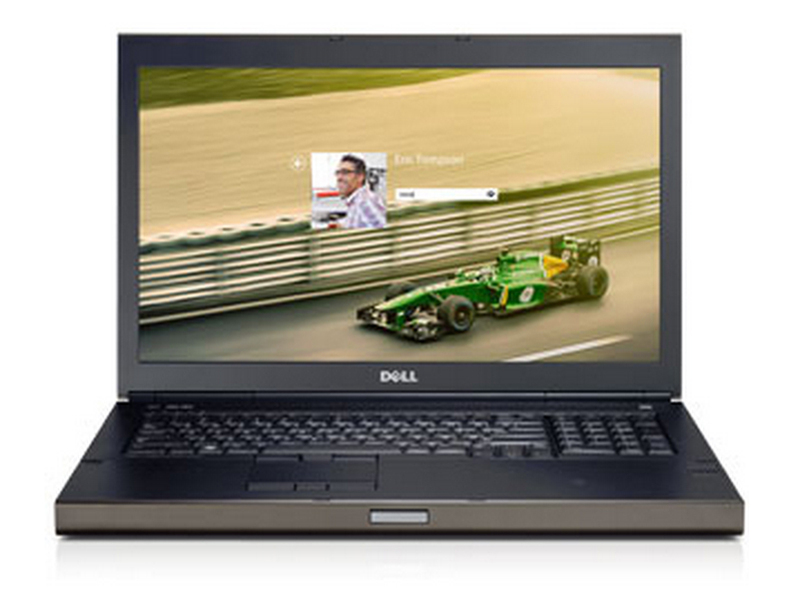 The Dell Precision M3800 Professional Workstation can serve well as a desktop replacement for professionals who'd like the flexibility of being able to lug their workstation around. It has old-fashioned but perhaps classic laptop styling. Materials and build quality are competent if uninspired. For its given audience, and the price, we'd expect a real IPS display with better performance. The main and graphics processor are well judged for this workhorse, and the complete package forms a safe but highly serviceable choice. NVIDIA Quadro K3100M: High-end workstation grafische kaart gebaseerd op de GK104 Kepler architectuur met 768 shaders en een 256-Bit geheugenbus. Deze middenklasse grafische kaarten kunnen alle huidige spellen vloeiend spelen. Veeleisende spellen kunnen alleen met gemiddelde detail instellingen gespeeld worden. 4800MQ: Haswell quad-core processor met een kloksnelheid van 2.7 GHz, die dankzij Turbo Boost kan oplopen tot 3.7 GHz. Beschikt over een geïntegreerde HD Graphics 4600 GPU en dual-channel DDR3 memory controller. 74.75%: Dit cijfer is slecht. De meeste notebooks hebben een hoger cijfer. Dit is niet aanbevolen bij aankoop.